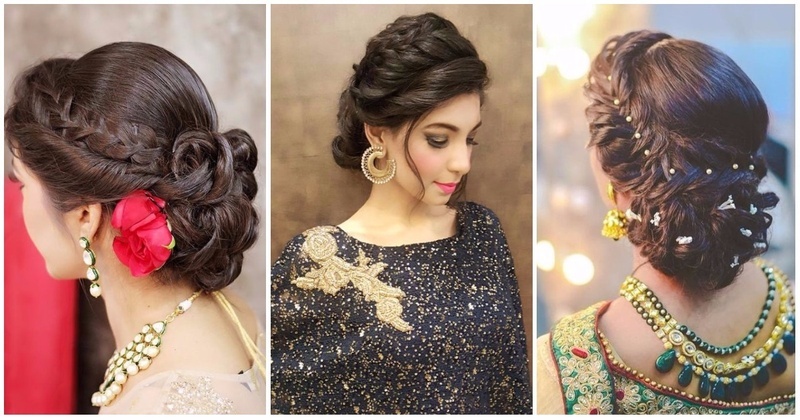 6 Braided Bun Hairstyles That Are Simply Ah-mazing For Indian Wedding Functions! Got a wedding coming up and still don’t know the perfect hairstyle to flaunt? Braids or buns, isn’t that always the question! Well, we found a way to get the best of both worlds. Check out these gorgeous braided bun hairstyles that’ll have you turning heads at any event! Similar to your classic, elegant chignon, except with a little more pizzazz! This works perfectly for a mehndi function. This classically elegant hairstyle is perfect for your wedding day or Sangeet night. Whoever said top-knots are just street style! Check out this stunning braided top-knot that proves otherwise. This one is a little complicated but you can always get help. Totally worth it!